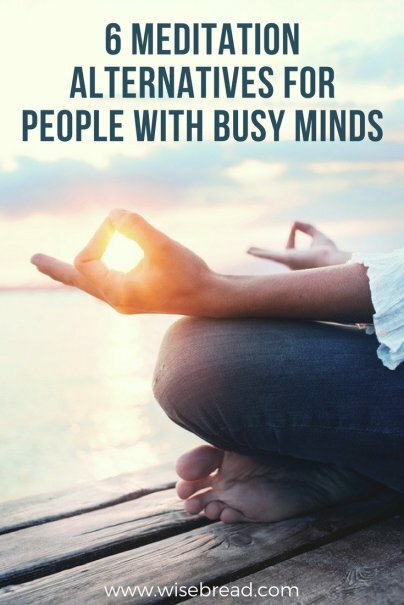 As a meditation teacher, a lot of people say to me, "Oh I'd love to meditate. I just can't. My mind won't let me." The purpose of meditation is to get control of your mind, because what you think and the way you think have direct impacts on the quality of your life. You are your thoughts. Change your mind and you change everything. I completely understand my reluctant students, because I was one of them for most of my life. Then I did my first yoga teacher training, and I was required as part of my program to sit for 18 minutes a day. It was grueling. I never knew 18 minutes could last so long. I literally had to force myself to do it, and at first, I hated it. Over time, it changed me. That focused, disciplined practice is a staple of my life now, nearly a decade later. Let's turn meditation on its head right from the start, shall we? Sit or lie down, and just let your mind do its thing. Maybe it will be a whirling dervish. Maybe you'll run through your grocery list or to-do items. Maybe every fear and anxiety you've had for the past 10 years will rush right in to take up space. Let it all happen. Take five minutes to consciously deepen your breath, and then spend the next 25 minutes just giving your mind as much rope as it needs. Many people who use this method find that they feel more empowered because they confront whatever it is that's bothering them. They also often have bursts of creativity when the 30-minute session is finished. How many times have you made or bought a quick dinner and sat down in front of the television while eating it? I'm as guilty of this as anyone, and still do this on occasion. (No one's perfect.) What I try to do as often as I can, though, is sit down with my meal wherever I am and focus on the food with no distractions. How does it taste? What's the texture? How do I feel as I eat it? How do I feel when I'm done? And during the meal, I also actively practice gratitude for the food I'm eating. Like the focused physical activity, this practice helps me become aware of the connection between my mind and my body. Closing the eyes during meditation can trigger many emotional responses. My take is that if you feel uncomfortable closing your eyes, then don't do it. Instead, choose something to visually focus your attention. Some people like gazing into the flame of a candle. Others prefer looking at a piece of art, or even just a block of color. Even gazing at the floor or ceiling works for some people. The idea is to keep the gaze soft. You don't want to squint or intensely focus the eye muscles. You just want to give them something to look at that helps the mind settle.